Having not written in some time, I figured that the reader would feel cheated if I did not indulge in a bit of the classics on their behalf, and mine. 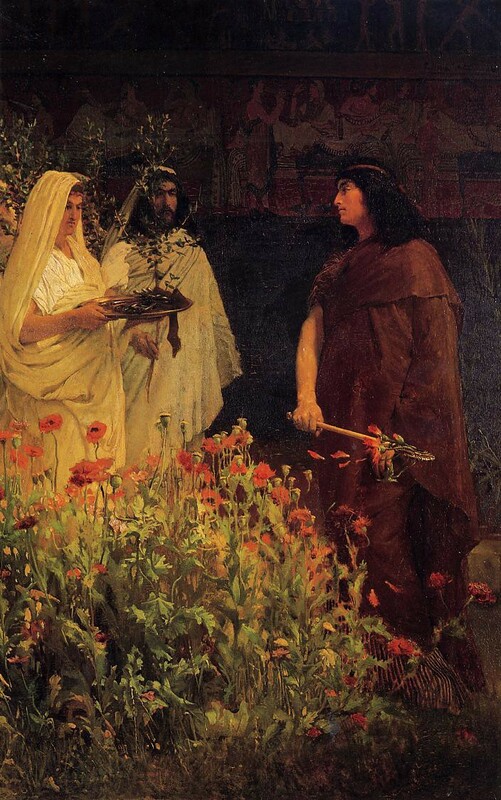 *The Tall Poppy concept comes to us from Herodotus’ Histories where he recounts the story of Periander of Cypselus. Periander sends a herald to the elder Thrasybulus to ask about how to best handle the Cypselus’ government. When he arrives, Thrasybulus, (ever the raconteur), takes the messenger to a sown field. As he walks through his crops trying to coerce the herald into telling him why he has come, he begins to cut off all the tallest ears of wheat. The messenger surely expects that if he speaks, he will quickly meet the fate of wheat that surrounds him. Thrasybulus notices that his gesture has confused the poor lad and abruptly sends the herald away without uttering a word of advice. When the herald returns to Periander, he tells him that Thrasybulus must be a madman. He is wandering around, philosophizing, and destroying his crops. By his silence and odd behavior, Thrasybulus means to convey to Periander, “that it is sometimes necessary to make away with the eminent citizens in due course of leadership.” Whether or not it is a threat is up to the reader. At the core of everything and anything that goes without a turn signal are misunderstood sentiments. That is why one must be careful, lest one gets their head (or poppy) chopped off. One expects that in a free country, (even if corrupt buffoons lead us) that civility is the norm, inside and outside of the workplace — and that one can still speak freely without being accused of “micro-aggression.” That is a reasonable expectation, yes, but speaking one’s mind is the obligation of citizens, en masse, in a functional democracy or optimal work setting. Does the modern worker fall prey to “Tall Poppy Syndrome” and live comforted by silent rations of regret in the food-truck line? At times, life rightly apportions indignation. It is up to us whether or not we use it correctly and if the receiving party is ready to listen. Are you irritated by the rebellious? Are you dullened so much by mediocrity that the slightest requirement of your humanity feels like martyrdom? All praise brave, tall poppies! If this sounds like something from an Orwell novel, you are either well-read or share a bizarre sense of humor. As I write this line, I imagine automated, driverless trains with loads of blandly dressed, mute workers staring at their cell phones. Not a pretty thought. Thank G-d for tall poppies, because if they did not exist, I am afraid we would quietly extinguish ourselves entirely, or at least slowly congeal into a fiber-optic encased blob of artificiality. I hope that some are emboldened to flair the third finger with all of it is bony, human irreverence when the situation requires it. Either way, no matter what you do today, do the thing that assures you of your pulse. You are either standing up or falling down. And by the way, everyone is watching. Louis D. Lo Praeste was born in Boston, educated in London and has lived on almost every continent, save Antarctica but he hopes to move there soon as part of an expedition. He was named #8 globally as a LinkedIn “Top Voice” in 2015 for Management and Culture. He is a frequent contributor to the Huffington Post, Elephant Journal, and various other publications and venues. 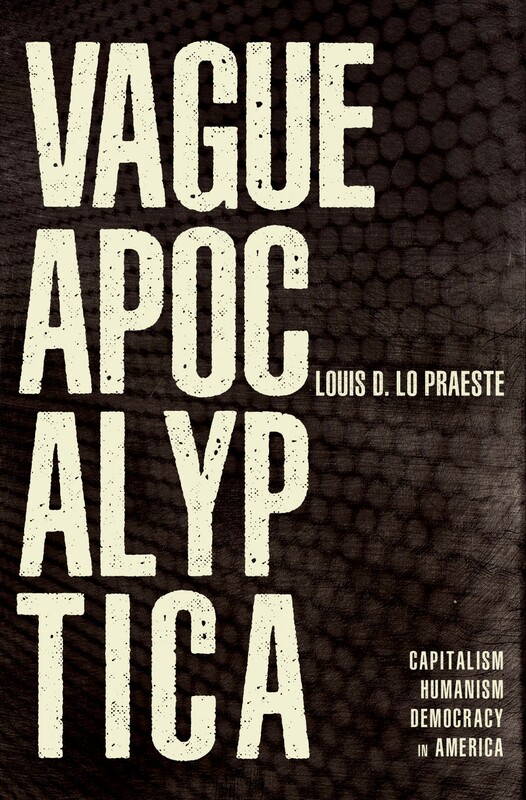 His latest book Vague Apocalyptica can be found on Amazon. He is presently on working sabbatical helping gifted children go to school in rough places. You can contact him by yelling loudly about something important. *Herodotus’ Book 5, 92f, Aristotle’s Politics (1284a), and Livy’s Ab Urbe Condita Libri.